The latest bench seat we made for a 1956 Chevy truck went to our great customers Carl and Andree. Great choice of colors with the grey vinyl and mix grey tweed inserts. The bench seat has a cool flip bottom feature you can use for under-seat storage. The most recent Chevelle project was exciting. Carl knew he wanted to use black as the main color but didn’t want his seats to be plain. Together we decided to use black tweed on the insert to break up the constant black vinyl look. His car is a brilliant blue so he also wanted to incorporate the blue in the seats somehow. Cobalt contrast stitching gives just a splash of blue to tie it all in. The result was magnificent. We also made him a matching rear seat to compliment the XR Sport Seat style front seats. Great project. Thanks Carl for choosing Cerullo. Another fun job in the books. Diamond pattern stitching is becoming more popular this year we’ve found. 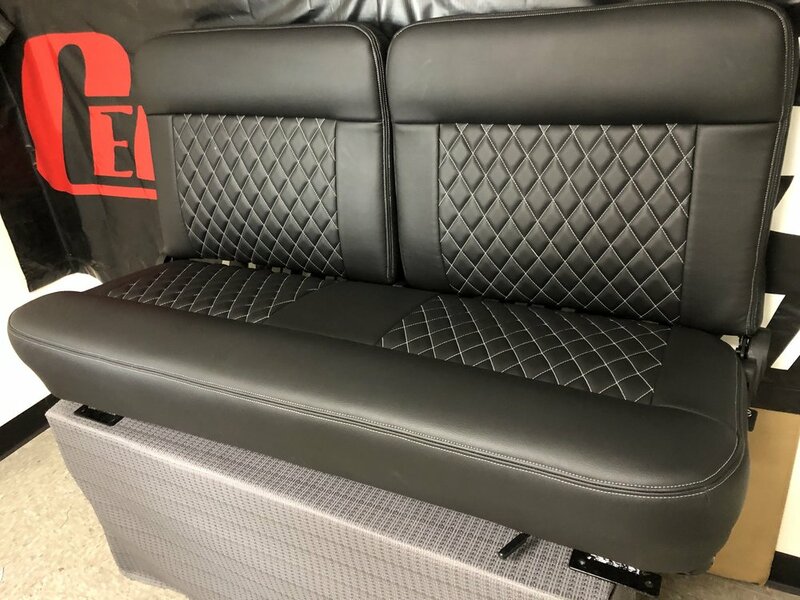 Check out Kent’s new bench seat he had us make in black vinyl with white stitching. We used Glide Engineering frame # 9459 with a split back and flip bottom for under-seat storage. Thanks Kent for the great project, it was fun. Happy New Year and a 1994 Chevy Truck! We’re back to work and looking forward to a prosperous 2019 . Happy New Year friends. One of our first happy customer photos for 2019 comes from Rick in California. 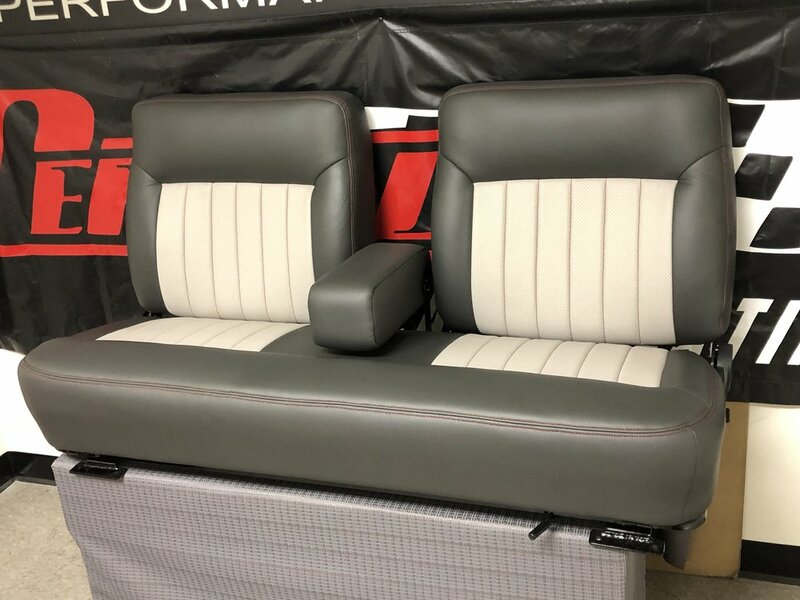 We made him a Brougham Truck Seat for his 94 Chevy truck in OEM grey fabric. He says “The seats look great. The pattern maintained a nice factory cleanness”. Thanks Rick, your truck cab looks spectacular. We all know that life is in a constant state of change. So are businesses. Cerullo has remained strong over the years thanks to God, first, and thanks to our ability to adapt and morph into what our industry wants from us. Our founder, Richard Cerullo, was brilliant at finding niches that needed attention and he worked hard to design and produce a product that would succeed in that new area of the industry. Always staying true to his high quality standards and great customer service, Mr. Cerullo kept is family business alive while maintaining a great reputation. 100 Series Land Cruiser and LX470 seat covers. They slip on the original interior of the front seats and look like brand new upholstery. Although you’d never need to take them off, you could take them off with ease and put back on without damaging your original seat or the seat covers. They feature durable cordura behind the backrest with a map pocket and a tactical strip for hanging utility bags or tools. They are in stock in original Toyota colors, but can be made to order in any color combo you’d like. The second seat cover we just finished designing fits the 2nd Gen Tacoma. We’ve made this seat cover in a high quality neoprene that is water resistant and cleans easy. I discovered that when I spilled a cup of coffee in my lap one day on the way to church. I had to wait about 20 min before I could wipe it off and it came clean! It feels really nice on your bottom too!! The photo below shows our covers in grey with digital camo insert. 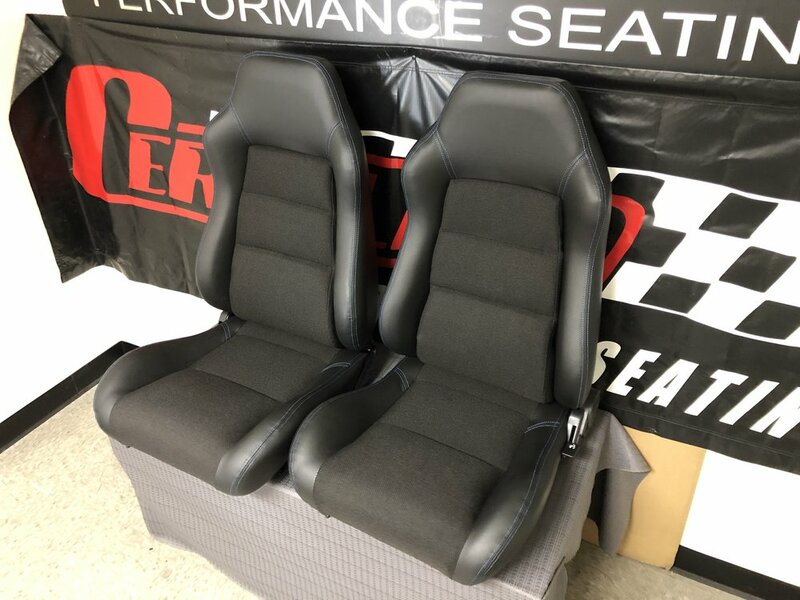 There is also a great color combo of grey with black inserts, but you can order your set however you want them since we make them here in our factory. You can use these covers to protect your original seat upholstery or to cover up old, damaged fabric. 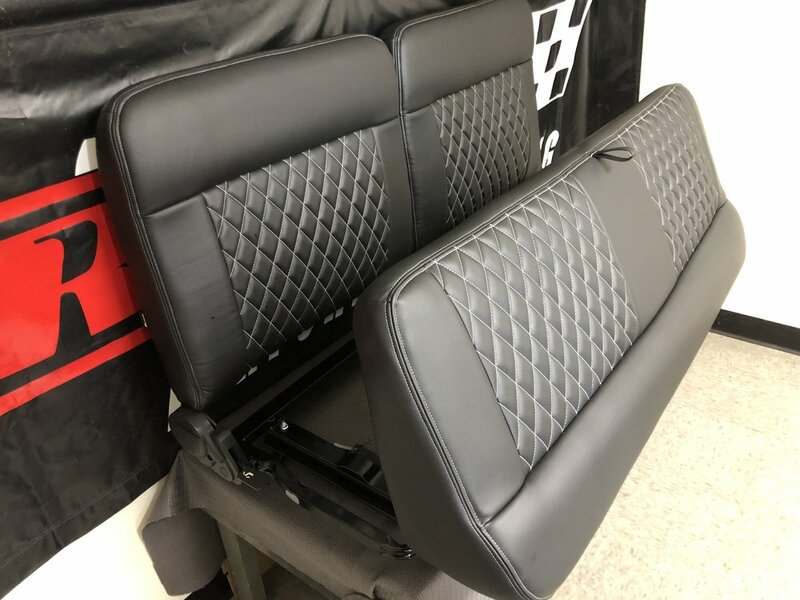 These too can be easily pulled on and taken off but once installed, look like you had a professional reupholster your seats. We’ve used 10 snap hooks, per seat, to be able to attached the bottom seat cover underneath the seat so that the pull is even and snug. We love these covers and we hope you do too. We’re always open to suggestion as well. 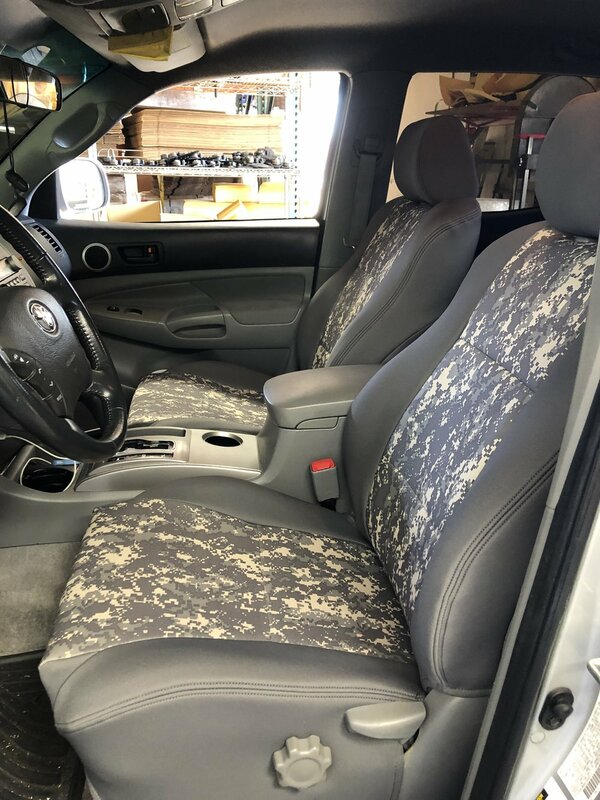 If you’re apart of this Overland and off-road community, and you have an idea for a seat cover product that you think people need, please send us a note and let us know how we can better serve you as an aftermarket seat and seat cover manufacturer. Grazie! The latest custom job we worked on last week was for a 69 Chevelle that lives in Georgia. Glenn had already had custom upholstery done in his car with a matching rear seat cover that ended up not working out. He didn’t like his front seats, so he called Cerullo. He loved the look of the SC Sport Seat and liked the headrest style of the GT Sport Seat. 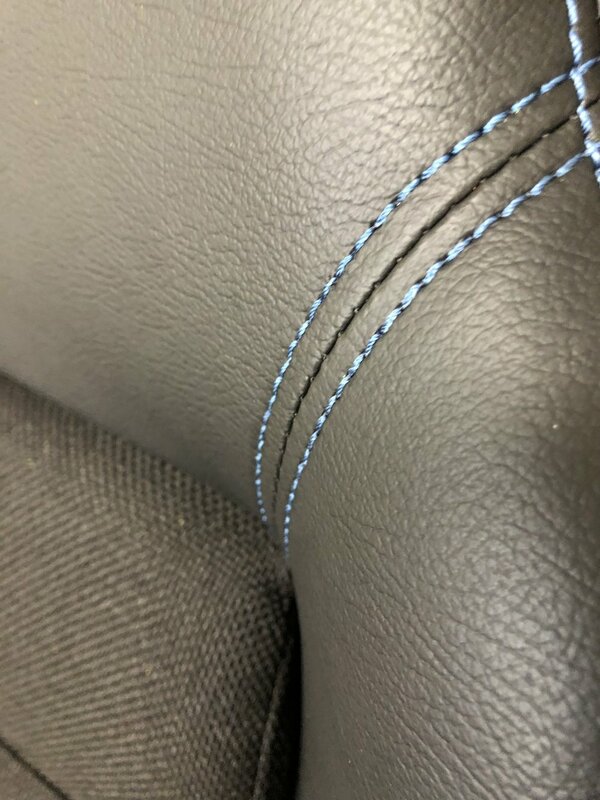 All we had to do was match the upholstery style of the existing rear seat with vinyl piping along the outer ridge of the bolsters and use the same material that was already in the car. With much discussion between Glenn and Gina at Cerullo, they came up with a solid plan. We think the seats turned out great and we’re looking forward to seeing them installed. Glenn also ordered mounting brackets to go with his seats that bolt directly into the factory holes of his Chevelle. Later this year, the customer plans to send us his own pattern for us to use to make him new door panel covers. Thanks Glenn for picking us and giving us the opportunity to work on your fun project.